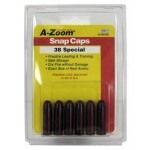 A-Zoom training rounds are much more than conventional snap-caps. 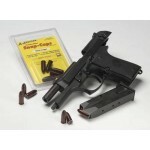 then hard anodized for ultra-smooth functioning and long life. 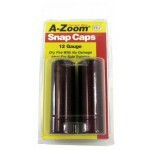 In addition, each round has A-Zoom's remarkably durable "Dead Cap"
proven to withstand over three thousand dry fires while protecting the firing pin. 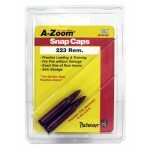 and are available in over 120 sizes from .22 Hornet to the .50BMG.